Iddo Goldberg (Salem, Peaky Blinders) has been cast for the role of “Dr. T.O. 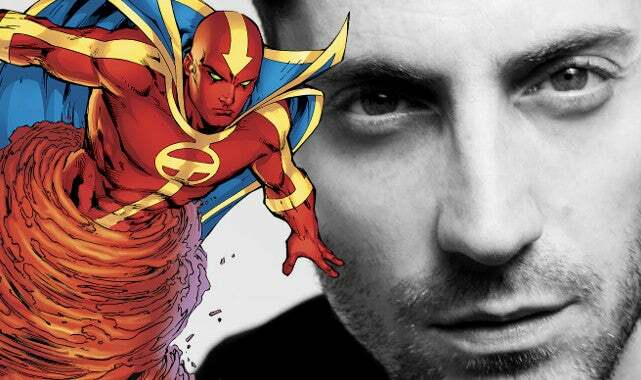 Morrow (aka Red Tornado)” on CBS's Supergirl, ComicBook.com has learned exclusively. According to Warner Bros. Television, Red Tornado is the most advanced android the world has ever seen. Designed by scientist T.O. Morrow for the U.S. Army as the ultimate superweapon, he soon becomes sentient, posing a grave danger to National City -- including the people Supergirl cares about most. It's possible that an accident could fuse the two, accounting for Red Tornado's deviant behavior, or that Morrow could have built the android based on himself and Goldberg would be doing only voice work for the android, but acting as Morrow physically. In addition to Red Tornado and the previously-announced Livewire and Reactron, Supergirl recently announced that General Sam Lane and his daughter Lucy will appear on the series, along with the Kryptonian villain Non. The Supergirl series premiere airs Monday, October 26 at 8:30 PM. The series will then move to its regular Monday 8 PM slot the following week, November 2.